10. Housekeeping at a local gym. You don’t know hard work until you’ve had to provide washed and folded towels for the morning rush of Zumba moms. You don’t know crap until you’ve cleaned an elderly woman’s … accident in the shower. 9. Reporter for an independent college news site. My favorite story was when I investigated a flaw in the campus alert system after a small campus shooting incident. It was invigorating to interview sources and challenge the system. 8. Fitness Instructor at a Trampoline Park. Every Saturday morning for 6 months, I led classes of middle-aged women jumping and squatting and planking on trampolines. I woke up extra early just so I could drink enough coffee to muster the energy to motivate them. And I had some sweet playlists, too. 7. Online tutor. There are hundreds, maybe thousands, of students walking around in this world who I’ve impacted in a small way in an online tutoring session through Tutor.com. I’ll never know them, but we shared an experience together once of working through an essay, talking about an assignment, or maybe even just reassuring them that they won’t be overcome by their stress and workload. 6. Wedding DJ. When a friend gets married and asks you and a friend to play the music and entertain the crowd at their (very loud, energetic Colombian-American) wedding, you can’t say no. You can say no to the third drunken request for the Macarena. 5. Camp counselor. My favorite wake-up song for my campers: “I’m alive, alert, awake, enthusiastic” sung to the tune of “If you’re happy and you know it, clap your hands.” Yeah, it’s as annoying as it sounds. 4. Administrative Assistant. I was that person in the office who makes everyone else’s life easier. Coffee and catering? Office supplies? Event planning? I’m your girl. 3. Stock photo model. I participated in a few photo shoots for a family friend who took pictures for stock photography websites. I can be seen on various brochures and business sites as a face in a crowd, including with fake tears streaming down my face at a funeral. 2. Mission Trip Leader. All the ministry trips I’ve led have been in the United States to cities like Baltimore, Pittsburgh, and Las Vegas. You gain a new perspective for your own hometown when you experience living on mission in another town. 1. Teaching English at Fremont Christian School. It is not an overstatement when I say this is my dream job. I believe I am living in the center of God’s call on my life. Well, once again I find myself summarizing an entire year. This is the third year I’ll write a recap of my goals–though I’m publishing it a little late–and I’m glad to have a record of 2015 and 2016. Every year brings new and unexpected and wonderful things. This year has been transformative in my life. In January 2017, I couldn’t have dreamed up what my life would look like in December 2017. Actually, if you asked me to describe my dream life, I’d have described something very close to what I did in 2017. I helped put on a conference at work (and learned a lot from the process). I interviewed for (and was offered) three teaching jobs in California, and I accepted one. I packed my life into my SUV and drove across the country with two of my best friends, making stops along the way like Chicago and Omaha. My family visited Yellowstone and the Grand Tetons. I moved to Fremont, CA to teach English to high schoolers. I flew halfway around the world to Poznan, Poland to stand beside a dear friend as she married the perfect guy for her, and I walked through the fascinating city of Berlin, Germany. Life is surprising, and suddenly everything is different. When I made my goals in 2017, I had no idea what was ahead! The Bible commands us to rest, and for good reason: taking a day each week to rest is crucial to our health and wellness. I began to take this seriously in 2016 and continued to reap the benefits in 2017 of one day per week of intentional rest mentally, physically, and emotionally. I’ve continued that pattern in my teaching job, where it is even more important to resist the temptation to work nonstop and burn myself out. Rest gives me more energy and mental space to do well the rest of the week, and I want to always remember this. When I landed a position as Jump Fit instructor for the local trampoline park (yeah, still the coolest job I’ve had), I began training for this new form of fitness and studying group fitness instructing, physiology, and the many components of leading people in exercise. I made some great friendships and had an amazing time. I continue to fight for fitness and health to be a constant staple in my life through running, cycling, and hiking, and I’ve established a pattern of eating that supplements a strong lifestyle. Last year, I set a personal goal to read a book every two weeks, or 26 books in total. I proudly crossed the finish line to 30 books this year, surpassing that goal. I am so glad that I documented the books I read this year. My memory isn’t strong, so I would have likely thought I didn’t get that much done without seeing it all listed. This year, I plan to document the books month-to-month, and I want to read at least 30 books. Delve into the work I’ve been given. I’ve jumped into so many new places here in California: I joined the core leadership team at my church, Foundry, signed up to be the girls softball coach at my school, and continue to be committed to educating my students well at work. I’ve got plenty of meaningful things to do. I don’t want to get distracted this year by shiny new opportunities, which is my tendency. This season of life is not a phase, a holding tank until I move on to the next thing. God has abundantly filled my plate, and He’s tasked me with managing the gifts I have right now for the foreseeable future, so I want to sink my heels in and work for the long haul. It’s less glamorous than exciting announcements and life changes, but it’s the kind of faithfulness and obedience that constitutes a well-lived life. Well, it’s been an incredible year. Thank you, friends–old and new–for bearing with me. Let’s dig in this year! On the eve of my 24th birthday, with visions of sugar plums dancing in my head, I’m in a reflective state of mind. As I think about everything that’s happened since my last birthday, one theme keeps coming back: God has been faithful this year, and He has kept so many of the promises He makes in Scripture. Two books of the Bible I read through this year were Psalms and Isaiah; both books detail the ways that God is faithful to his people. And in my own form, I want to tell of the promises He’s kept as well. I will walk with you through the trials. A year ago, I was weighed down by deep loneliness, aimlessness, and sadness. I cried in the bathroom at work and slept too much; I dreamed of crashing my car into the median on the freeway. This season deepened my compassion for those who struggle with depression all their lives–not just through seasons. Not only that, but it also deepened the joy I felt when the springtime arrived like coming up for air and gasping for a breath. I am your most constant friend and companion. In the midst of being thrilled about a promising new job and relocating to a new city, I gradually was forced to reconcile with an impending separation from so many close friends I had made through five years in one little city. After a cross-country road trip to the West, it was nothing short of heartbreaking to watch two of my dearest friends climb on a plane back to Lynchburg, leaving me behind. Moving to a new city all alone will force you to realize who you are at the core. When everything is in flux–my job, my home, my friends–and I’m far from all that is familiar, what is left? I was constantly reminded that the answer truly is: Jesus. The Lord Himself goes before you and will be with you; he will never leave you or forsake you. Out of the blue, I had an epiphany yesterday, and it was this: I finally, finally am enjoying the season of singleness that I’m in. Not just tolerating, but enjoying. What a beautiful thing it is! I have spent so much time in my teens and 20s on pining after some guy or another. And I do have plenty of moments when I wish for a companion. But what God has given me instead is big belly laughs with friends and deep emotional connections and so much time to invest in my career during my first few years of teaching. And I’m content with this reality. So I want to serve and give with all that I have with the abundant resource of time that I’ve been given in this season. And that deep longing to be fully known and loved? Well, God has already seen it and filled it. I have prepared a path for you. This is the most mind-blowing promise that God has kept in ways I couldn’t have dreamed. Remember the difficult winter I had? Well, as winter thawed into spring, the Lord was setting into motion the answers to some of my deepest callings and longings. He guided me to a school where I could fulfill my childhood dream of becoming a high school teacher. I don’t yet have the words to describe this, but it’s more than I dared to dream. He is so faithful to complete the work He started. Your eyes shall see your Teacher. And your ears shall hear a word behind you, saying, “This is the way, walk in it,” when you turn to the right or when you turn to the left. I’m so deeply grateful for the lessons of year 23. My faith in God is sustained by His continual faithfulness to me; I know He will sustain me in the upcoming year. And I know He’ll sustain you too. On resting in the good news. You know those videos where a marathon runner’s legs buckle moments before the finish line and they wobble to the ground, so other runners have to help carry them across the finish line before transporting the poor soul to the hospital? That was me as a first-year high school teacher, stumbling from my third week of teaching into this 3-day weekend. Teaching is incredible and a fulfillment of my lifelong dreams, but it ain’t no joke, fam. So here I am, on a sister in Christ’s back deck overlooking the water. I’ve consumed one million bajillion calories this weekend–all of them empty, many of them alcoholic, all of them delicious–and I’ve finished three books that have sat on my shelf half-finished for months. This has been the perfect setting for Skype dates and phone calls to maintain relationships that are now separated by thousands of miles. The quiet has opened enough space for Jesus to whisper gentle reminders to me on the breeze. And as I rest, the reminder that the Holy Spirit keeps impressing on my heart is simple: you are already loved and cherished. You cannot earn God’s love or favor. You’ve already got it. This is hard for me to wrap my mind around as an academically-minded lifelong student with an all-American work ethic. From grade school to grad school, I constantly performed for grades and constructive feedback. As a teacher, I’m consistently being observed to ensure I meet expectations. I’m always watching the state standards to make sure I’m aligned with them. I never stop trying to prove myself to my students and even to myself. But not so in the kingdom of God. Like the lamb in the parable of the lost sheep, I’m helpless on my own; I can’t earn the rescuing of the good Shepherd. Like the lost coin, I can’t help myself be found and treasured. Like the prodigal son, I can never do enough to prove my worth or make my Father love me. We’re already valuable and treasured because our Father has a reckless love for each of us. No performance review will change that–either for better or worse. No failure is enough to change His love for us or change the fact that we are children of God. Yes, we should work hard to use the gifts He’s given us well, but when we mess up, He doesn’t back off. So I don’t have to hide in shame, for His love is not contingent on how good of a teacher I am or how loving of a sister or friend I am. There are no standards I have to meet, no tests I have to pass. Thank God! And this is true for every single person: you are already welcome at the table. Despite your screw-ups and awkwardness and history of running away. Despite your background, and despite all you’ve ever done. Even despite official church statements that determine whether you do or don’t belong. You don’t have to have your membership up-to-date to partake in the love of God. No one but Jesus can decide who’s welcome at the table, and He has already said that everyone belongs: Jews and Gentiles, men and women, sinners and saints. He welcomes us into His presence, knowing that His words will draw us in, transform us, reorient us. We don’t instinctively think this way. In his new book Whisper, Mark Batterson talks about how we won’t hear God’s voice if we don’t set aside time to hear it, and it won’t happen by accident. It takes deliberate rest, and deliberately seeking to know the truth through God’s Word and through His whispers. That’s why I’m thankful for the privilege and the discipline of resting this weekend. And even as I return to another week of hard work as a teacher, striving for excellence as I living a life that I’d only dreamed of just a few years ago, I’m thankful that nothing changes how wide and deep and vast God’s love is for me. How do I summarize a year like 2016? It brought me to new cities like Baltimore and Charlotte, as well as familiar cities: Washington D.C. and San Diego, Manti and Salt Lake City, Roanoke and Charlottesville. I stood on the shores of the Atlantic and Pacific Oceans, dipped my toes in Smith Mountain Lake and a river through Zion. It was a year when I marveled at the Grand Canyon and witnessed people I love marry the loves of their lives–both wonders in their own respects. It was filled with big accomplishments: the completion of my thesis and Master’s degree, earning recognition as English GSA of the Year, running over 300 miles and finishing two races (the VA 10 Miler and the Deep Hollow Half Marathon), starting a new full-time job. I taught dozens of people to dance–high schoolers, college students, senior citizens–and over 60 college students to write. It was also filled with small accomplishments: investing in the community, eating locally, hosting friends and family. These things add value to the big ones. People turn experiences into moments. Last year, I wrote a blog post documenting the ways I had achieved my 2015 resolutions as a way to celebrate completing them instead of lament foregone goals. I added to my Reverse Bucket List and set simple goals for 2016: pray hard and host well. I couldn’t have dreamt how much depth I’d find in fulfilling both of those goals. This next year, I have more simple goals for the way I want to live in 2017. I don’t know what big accomplishments this year holds, but I know I want to spend the year cultivating habits that will make the time worthwhile. Rest well. This year, I want to learn more about the biblical practice of resting. My framework for biblical rest was redefined in 2016; I want to rest by spending intentional time with people and without my phone, soaking in quiet contemplation, and practicing mindfulness, not mindlessness. Be strong. Thanks to running, eating locally, and preparing to teach a new JumpFit class at Jump Lynchburg, I feel healthier than I’ve felt since I played high school sports. I want to get stronger, run farther (1,000 miles! ), and live healthier than I ever have this year. Read books. It shouldn’t have surprised me, but when I graduated with my Master’s in English, I lost all interest in reading books. If I have to write insightful notes in the margins of one more academic essay, I will scream. But this year, I want to rediscover my love of stories: the stories in the Bible, ancient stories, modern tales. You were likely a part of this momentous year, so I thank you for joining me on the journey. Let’s grow (and run, and rest, and read) together in 2017. Faithfully listen to the audiobook that I faithfully downloaded for this specific road trip. Stop for a burger and fries at Wendy’s. Because I’m on a road trip, and I never eat fast food, and I deserve this. Make a mess of the last quarter of the burger because it’s dark and I can’t see whether I’m eating the paper the burger was wrapped in or the bottom bun, and really it all tastes about the same. And there’s ketchup. Everywhere. Get bored of audiobook. Turn on 2016 Top Hits and sing very loudly while eating cold fries. Pretend this is a scene out of a movie. Life will never be better than this moment, flying down the highway with the sunroof open and the volume all the way up. Notice a sign that says that I’m on the eastbound freeway. Panic. My heart starts pounding because I’M GOING TO VIRGINIA BEACH AND THE BEACH IS TO THE WEST. Turn off music. Take next exit. Sit in gas station parking lot trying to find accurate directions. Remember I’m on the east coast. Get back on highway. Accidentally shuffle to a song that always makes me cry. Cry a lot. I’m alone, so I ugly cry. I do not know why I’m crying. It doesn’t matter. Drive through a town with the same name as the town in Washington where my mom grew up. Call my mom. She doesn’t answer. Resume crying. Turn on the audiobook again because I’ve wasted quality listening time and I paid money for this audiobook. Stop at Walgreen’s because I forgot deodorant. Arrive. There are still 45 minutes left on the audiobook. When I started college, my dance experience was limited to Wii Just Dance, the Cha Cha Slide, and Zumba. So when my roommate and I decided to try swing dancing during our first week at Liberty University, we had no idea that it would change our lives. But here I am, four years later: I have traveled to several cities and states to dance, many of my close friends are swing dancers, and I’ve even taught lessons at my local scene in Virginia. 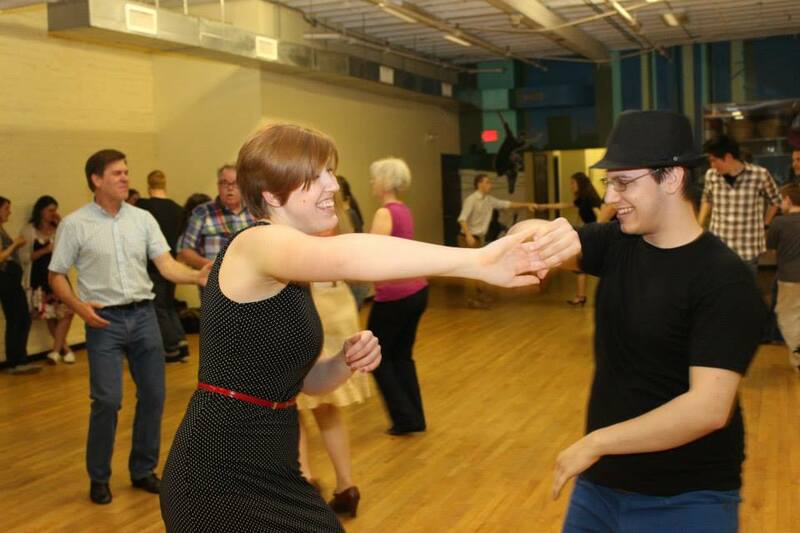 Swing dancing is a social activity that has made a societal comeback and now attracts dancers of all ages and places. Since joining this community, swing dancing has taught me lessons that apply to life, and ultimately, it makes me a better person. Here are a few principles I’ve gotten from swing dancing. Too often, people are afraid of looking silly. And learning to dance sometimes makes us look… well, ridiculous. Beginner’s luck does not apply to dancing, and all beginners look awkward. Your shoes will slip off (and fly across the dance floor). You’ll stick your elbow in someone’s eye. If you take any risk at all, you’ll probably do something that will make you feel completely embarrassed while you’re on the dance floor. Doesn’t that make you want to find your nearest venue and give it a try? If you let your pride get in the way of your dancing, you won’t enjoy it. 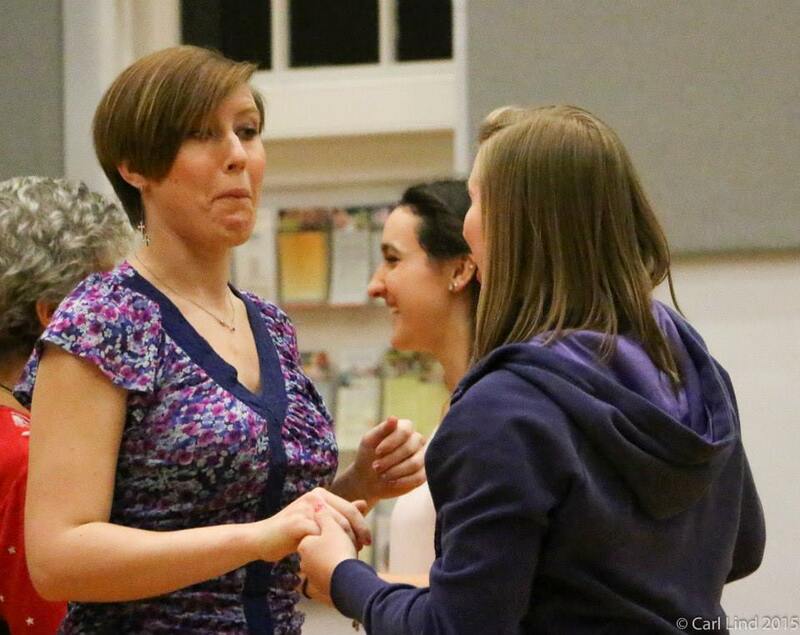 You’ll quit before you have a chance to learn the needed skills to enjoy social dancing. And if you make a mistake? Keep going! You will get better, but you must always stay humble enough to learn from your errors. Once, I was dancing with a sweet teenager who was just learning to dance. Though I was enjoying the dance, he got frustrated that he couldn’t remember the steps, so halfway through the song, he said, “Sorry, I can’t do this” and began to move off the dance floor. In the middle of our dance. I knew he needed to persevere. So I dug my fingernails into his palms and pulled him back. His eyes widened, but he finished the dance with me with a smile. And you know what? He wasn’t that bad. So you might feel like you’re absolutely terrible, but no matter what, keep going and don’t give up. Like in life: laugh it off, enjoy the ride, and keep going, because it’s worth it! Swing dancing is a partner dance. Each partner has a role: and the leader’s job is to guide the follower through a series of moves and patterns. These actions are communicated with nonverbal cues, and actively listening to each other is paramount. Paying attention to communicating with your partner is the difference between a dislocated shoulder and a smooth move. If either dancer refuses to listen to the other, the dance will look and feel uncomfortable, and no one will have fun. Needless to say, good communication is a skill worth learning, both on and off the dance floor. Listen well so that you can communicate successfully. And if you have a miscommunication, swing back to #1 and laugh it off. 3. Investing in experiences is worth it. I have met amazing people and traveled so many places because of my love for dancing. I have spent long nights losing sleep and laughing and joking and jamming with people who mean a lot to me, and I believe that’s incredibly valuable. The money I have paid for events and gas and shoes is worth every penny because of these people. I’ve watched my swing dancing friends get fall in love and get married and experienced the community coming together around tragedy. 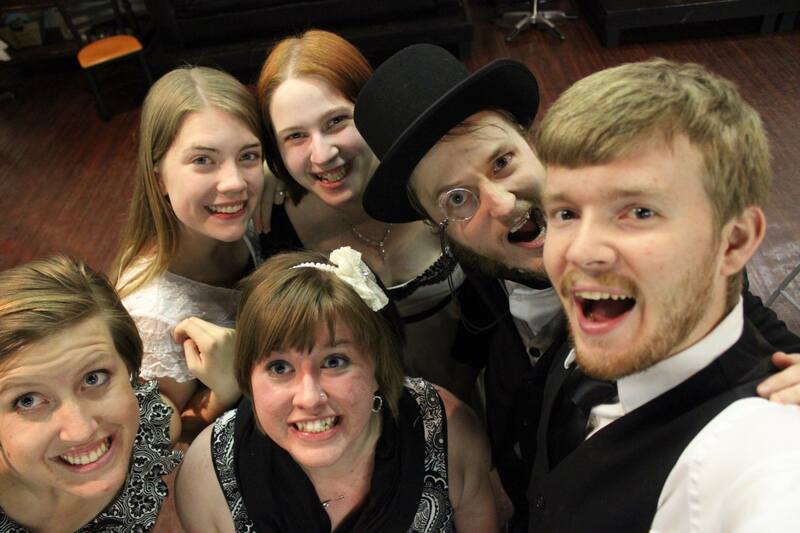 Swing dancers have become my roommates, my confidantes, and the people I rely on. It’s more than a dating pool or a hangout: it’s a community. So if you love something, invest in it. Your money is not wasted on experiences and relationships. I would love to go back to high school and tell my sweet, awkward self that someday, she would step confidently onto a dance floor, asking men she’s never met to dance with her and spinning across the floor without abandon. That young girl would flash a metallic smile through her braces and probably stammer and shake from talking to someone older than herself. Dancing has changed me, and I am eternally grateful for the community and the skills that I have found, as well as for the lessons that it has taught me.